Booking Disney World hotels with Chase Ultimate Rewards points is one of our favorite Disney travel hacks. Unfortunately, while that hack also words at Aulani, the Disney-operated hotels at Disneyland (Grand Californian, Disneyland Hotel, and Paradise Pier) cannot be booked with points. But here are 8 other ways to travel hack this hotels! Disney's Grand California has Disney Vacation Club villas, which means you can rent DVC points to stay there. If you've never heard of this option, you're really missing out. You have to book months ahead of time, but if you can make this work, it can be great savings. 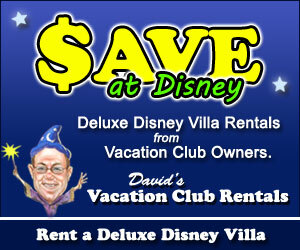 For example, David's Vacation Club Rentals had a three-night stay in a Grand California studio for $1088 .That same stay booked in a standard room at the Disneyland website is $2299.05 - more than double the cost of renting points. You'll want to see if Disney itself is offering any discounts. You can do this by visiting their offer page here. Recently for example, Disney had a 25% discount on Sunday through Thursday bookings. Not the most appealing offer, but worth keeping in mind. This is an awesome offer...if you can get the time off work. We love the Citi Prestige. Well, specifically, we love the Citi Prestige's 4th Night Free benefit. The benefit allows you to receive 25% off your first four nights on any hotel stay. This makes it great for a stay at Disneyland hotels, provided you're staying for four nights. This perk is also a nice way to tinker with your travel schedule. Maybe you planned four full days and three nights with an early flight in and a late flight out. Using the 4th night free, you can add some flexibility by switching to a night flight in or morning flight out without paying for that extra night. As our post on getting the best deal on your Disney World hotel discusses, you should always check multiple sites to find the best prices. We recommend Expedia, Booking, Hotels.com, Kayak, Priceline, and agoda. Even looking at the individual nightly rates, the Friday and Saturday nights (that Disney did not have an offer on) were lower on Disney than Hotels.com. This is just another reminder to always shop around, the best deals might not be where you expect. Our post on discount Disney gift cards makes clear that hotel stays are not our choice use of this method. That said, it is a way to save some money, and if none of the other options work for you, it might make sense to try it. We usually talk about resort days in the context of doing a Disney World resort day, but they can work at Disneyland as well. The key here is you aren't saving money on your hotel stay, you're using your hotel stay to save money on your park tickets. If you're going to pay big bucks to stay at a premium hotel, why not make sure you're getting the full experience. Drop a day off your tickets, and spend the time checking out the resort! The Chase Sapphire Reserve earns 3X Chase Ultimate Rewards points on travel purchases, including stays at Disney hotels. If you're paying for your hotel our of pocket, that card (or the Chase Sapphire Preferred) is a great option. Remember to compare this to #5, using discount Disney gift cards, as you may be able to get more out of that option depending on your particular set of credit cards. I really don't like this option, but if you're committed to using points for your booking, you can almost always convert your points to cash (or a statement credit) at a rate of 1 cent per point. Some cash back cards offer only cash back (and not any other sort of points) so this might be your only option. Besides those cards, you'll almost always be able to get better than 1 cent per point value out of your points, so this is unlikely to be a good redemption.